The thing I loved about this book was the simplicity. A lot of sci-fi books can be difficult to follow, but Kasie did a wonderful job with her world-building. There is a part of the world where everyone is born with powers; the so-called mental abilities. The story follows Addie, who is able to see different paths when she decides to ‘Search’ when she has a choice to make. This time it’s the question: will she go with her father or her mother after the divorce? Her father will leave the Compound to go into the Normal World, her mother will stay. This is how one of the best love-triangle-ish romances is introduced. There is one choice with Duke and one with Trevor, a boy who stole my heart from the moment I met him. After 5 pages of Trevor I was already rooting for them. What I also really liked was the role of her best friend. She doesn’t just disappear when the plot kicks in, but she plays a steady part in Addie’s life. Her ability also comes in handy for Addie, even when it’s perhaps a bit too convenient. It also also interesting to see the two different paths Laila will have based on Addie’s pick and it was amazing how Addie took that in consideration. This is why I liked Addie so much. She cares for the people around her and she will make choices based on clever actions instead of emotions. I also thought it was interesting how her ability worked out. It’s great that she has to ‘turn her power on’; she is in complete control of it. I was surprised how the stories came together. The two different paths meet each other on a certain point and that overlap was subtle and nicely done. I was sometimes a little confused (every chapter switches between her life with her father or mother), but I think it was a good choice to write the story this way. Some of the twists caught me off guard and that's why I read the sequel right away. Life can change in a split second. Addie hardly recognizes her life since her parents divorced. Her boyfriend used her. Her best friend betrayed her. She can’t believe this is the future she chose. On top of that, her ability is acting up. She’s always been able to Search the future when presented with a choice. Now she can manipulate and slow down time, too . . . but not without a price. When Addie’s dad invites her to spend her winter break with him, she jumps at the chance to escape into the Norm world of Dallas, Texas. There she meets the handsome and achingly familiar Trevor. He’s a virtual stranger to her, so why does her heart do a funny flip every time she sees him? Meanwhile, her best friend, Laila, has a secret of her own: she can restore Addie’s memories . . . once she learns how. But there are powerful people who don’t want to see this happen. Desperate, Laila tries to manipulate Connor, a brooding bad boy from school—but he seems to be the only boy in the Compound immune to her charms. And the only one who can help her. As Addie and Laila frantically attempt to retrieve the lost memories, Addie must piece together a world she thought she knew before she loses the love she nearly forgot . . . and a future that could change everything. Kasie managed to keep up with the quality from Pivot Point. The story continues right where Pivot Point ended. I loved the split POV between Laila and Addie. I wasn't a huge fan of Laila in Pivot Point, but she made me appreciate her more in Split second. The plot was good. We find out there is more behind the Compound then we realized. They aren't as nice as they appear. It was interesting to see how Addie and Laila both have to deal with problems in their life. Everything wraps up nicely, but there was still something about the ending that made me wish there was more. Nevertheless, a great duology that I will recommend to everyone. Kasie West will make you addicted to her writing. I read both of these recently and I LOVED them! But I definitely agree that Split Second left me wanting more books in this world. Maybe not more about Addie because I thought her story wrapped up nicely, but a companion series of some sort would be wonderful! Exactly! Just more information and perhaps seeing Addie return in the companion novel. I'm really glad that you ended up loving these books Mel, these were actually my first reads by West, and I have to agree with you she did an excellent job with the plot and characters in both books! I can't wait to read more by West soon! Ah yes, I absolutely adore these books! Kasie West writes the best romances, and I loved the world that she created here. 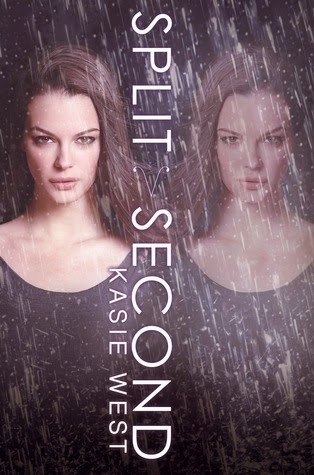 I haven't read Split Second yet, but I really loved Pivot Point.The best thing about this book is its world building.Both the parallel universe were handled perfectly without becoming confusing.And I loved those scenes which were common for both realities. And if you want to try out another book by Kasie West, go for The Distance Between Us, Mel.It is a great contemporary romance and the heroine is so amazing! Trevor is a cutie :)! Things like that happen :D We simply can't love the same books all the time! Can't wait to read Split Second, although I'm kind of sad that these series is only limited to two books. Yay, so glad you enjoyed both of these, Mel! I really enjoyed these two, and Kasie West's writing overall. I read Pivot Point, Split Second and The Distance Between Us all in one month, so it makes me sad that I haven't read On the Fence yet, even though I've had it out from the library once. Wonderful reviews! So glad you enjoyed these Mel! I too thought these books were really well done and I loved Addie and Trevor together. I always get a little confused when chapters alternate timelines but not enough to detract from my overall experience. Somehow I was under the impression you'd already read these books! Don't know why though... Anyway, I am glad you enjoyed them! I loved Pivot Point as well. The whole parallel universe was so incredibly well-done :) I still have to read the sequel (why I haven't yet... I have no clue! I do know that I have to do so very soon!). Glad you loved this duology, Mel! I almost didn't pick it up because of the love triangle situation on Pivot Point but I'm so glad I did. It was worth it. :) Trevor is so stinkin' awesome, and both romances in Split Second are super swoony. so glad you enjoyed this one!! read this quite some time ago so my memory is a bit hazy... i LIKED pivot point, not to the point of LOVING it, but there are some parts of the book that have me hugging the book and crying, "oh NOOOOOOOOO". i think i am a much bigger fan of kasie west's contemporaries! I'm so glad you loved them! I absolutely adored the first one as well but I still haven't been able to read the second one. I really need to get my hands on it soon though! You've just reminded me that I haven't read Split Second yet, I've been waiting for ages for my library to get it. I do like how both males had their strong points, plus it wasn't really a triangle as such because of the different realities. The best friend presence was definitely a good one to have as well. Great review Mel! Two more winning books by Kasie West! I hope that the love triangle that pops up in this series really is as noteworthy as you say because although I have encountered a few well written ones in the past, they are definitely the exception to the suckage rule. I'm so glad you enjoyed the series as much as you did. I absolutely loved Pivot Point but, like you, I gave Split Second a lower rating. I did enjoy them both, I just had a few more issues with the second book. I really loved Trevor, he won me over very quickly! Yay! So glad you loved both of the books, Mel! Trevor was just so swoon-worthy. <3 I just wanted to push his and Addie's faces together.. Definitely agree about Laila as well. A lot of books these days just throw the best friend away once the love interest came in, and I was glad when that wasn't the case for these books. Lovely review as always! 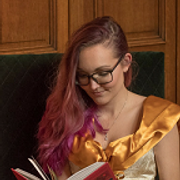 Yayyyy I'm so glad you liked these :) I have to agree, the magic of Kasie West is in creating these wonderful relationships and that being the focus instead of heavy sci-fi/paranormal stuff. But the world building that is there is simple and well thought out and just YES. I should reread these next year. Only one Kasie West book next year, lol, that'll never be enough for me.